Back in Spain for a few days, the weather has been fantastic so far with wall to wall sunshine veryday and temperatures in the lower twenties. It was great to get out on my old patch again in Southern Spain, I met Penny Hale at the Autovia junction near Manilva and I jumped into her car for the 1 hour journey to La Janda. 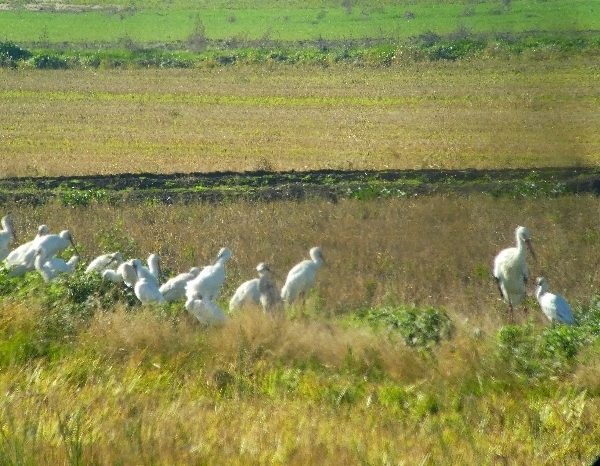 We logged lots of birds along the way, White Storks standing on their nests, Common Buzzards sitting on fence posts and flocks of both Common and Spotless Starling in the fields and on the power lines. 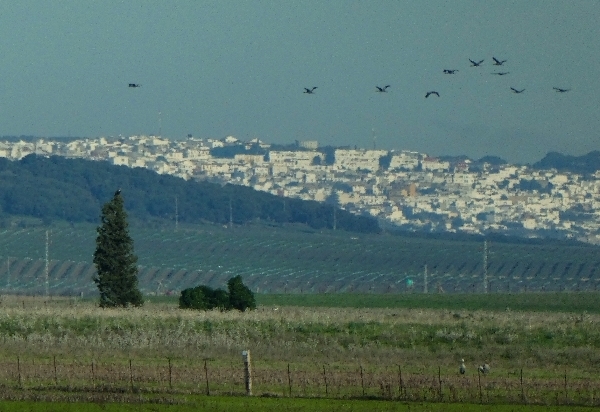 As we passed through Algeciras more and more sightings were made of Storks and Cattle Egrets with the odd one or two Marsh Harriers. 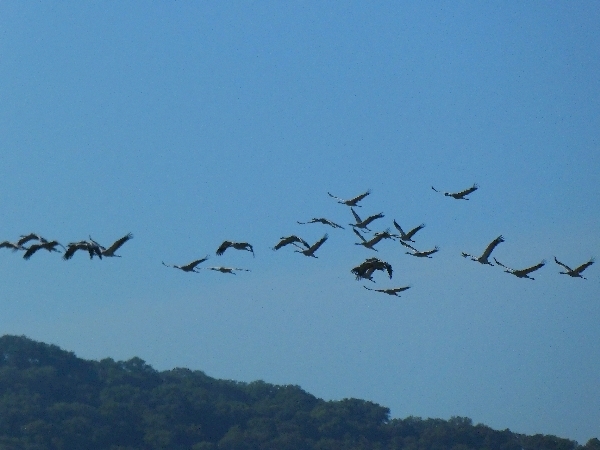 From the entrance track of La Janda to the very end of our visit we were inundated with great sightings and wherever we looked there were large flocks of birds. Common Stonechats and Zitting Cisticolas were very common along the verges with Meadow Pipit, Goldfinch, Linnet and both House and Spanish Sparrows in flocks feeding on any type of seed available. 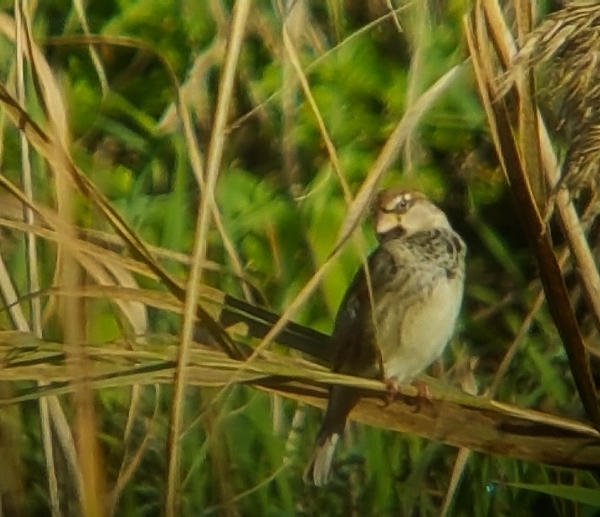 A small flock of Reed Buntings flew into a nearby bush, this winter visitor to La Janda is always nice to look at. We had no sightings of Bluethroat despite searching the ditches and ‘canal’ banks. More Buzzards and Marsh Harriers appeared as we approached the central track where we got out of the car for the first time. Our main objective was to try to locate the wintering SOCIABLE PLOVER which arrived in late September and had been seen as recently as yesterday. 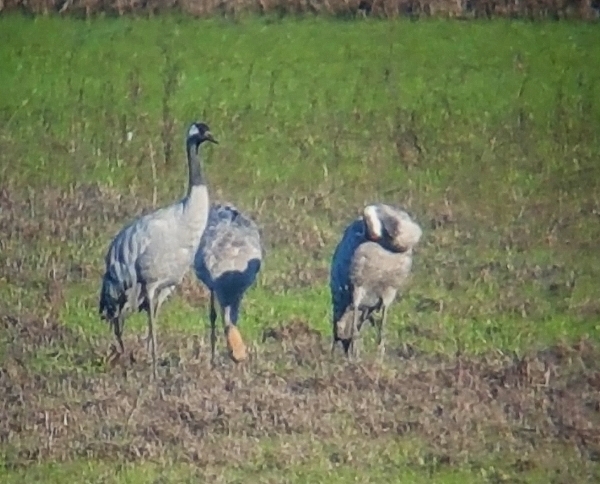 So we concentrated on the Lapwing flocks in the fields but of course we were distracted by hundreds of Common Cranes, dozens and dozens of White Storks as well as flocks of Ringed Plovers, Calandra and Skylarks. Corn Bunting zipped about in flocks of 100+ whilst Cattle Egrets appeared everywhere. To our left the rice fields stretched as far as the eye could see, some of them were being ploughed whilst other still lay fallow after the autumn harvest. Larger flocks of Lapwing gathered in the rice fields, so we moved further along the track to view them. From our second stop we found not one, but two. SPAINISH IMPERIAL EAGLES! A juvenile bird and an adult, wow!! 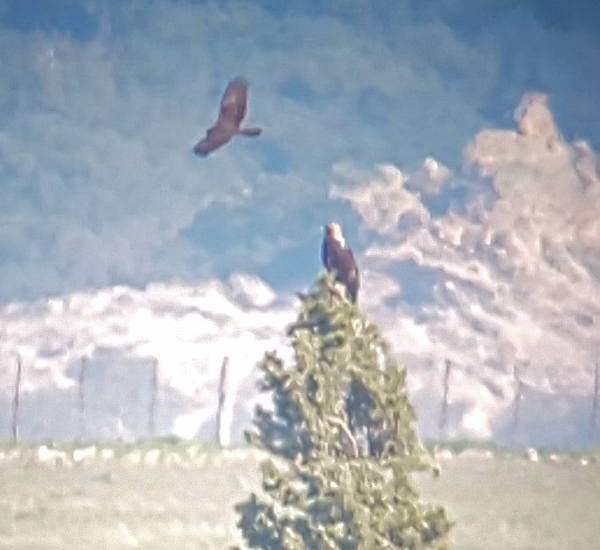 They were both very distant but still fantastic finds, the adult bird flew a little closer and landed on top of a pine tree whilst the local Marsh Harriers didn’t take too kindly to that and they mobbed the eagle. The large flocks of Lapwing did hold the Sociable Plover, but we did find over 10 Green Sandpipers, a dozen or so of Common Snipe, a single Greenshank and several more Marsh Harriers. 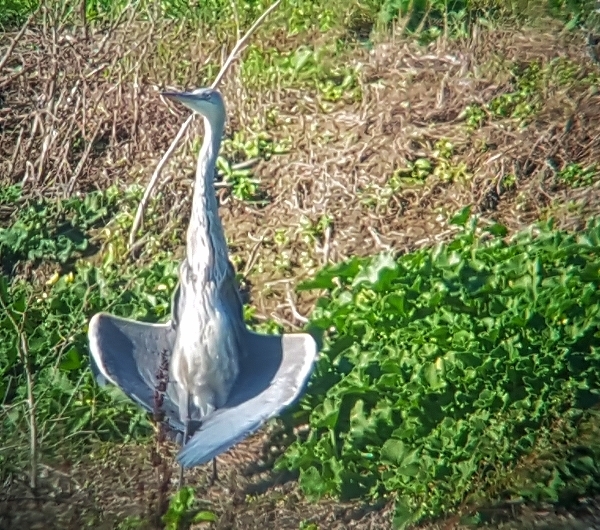 Common Kestrel, Red-legged Partridge, Eurasian Spoonbill, Western Jackdaw, White Wagtails and Little Egrets all went onto the day list. We parked up for lunch at a spot where we could scan the most Lapwings but still the Sociable Plover was being anti-social, Later we had another piece of excitement when we came across a group of Spanish Birders who were all scoping something in one of the rice fields. 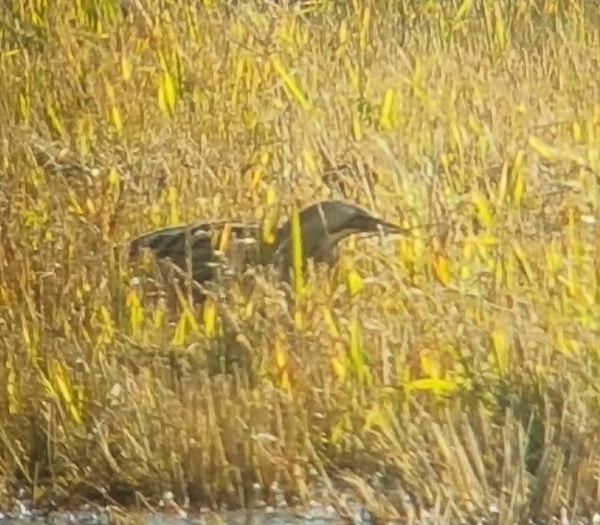 It was an amazing sight, a GREAT BITTERN sitting out in the rice fields. 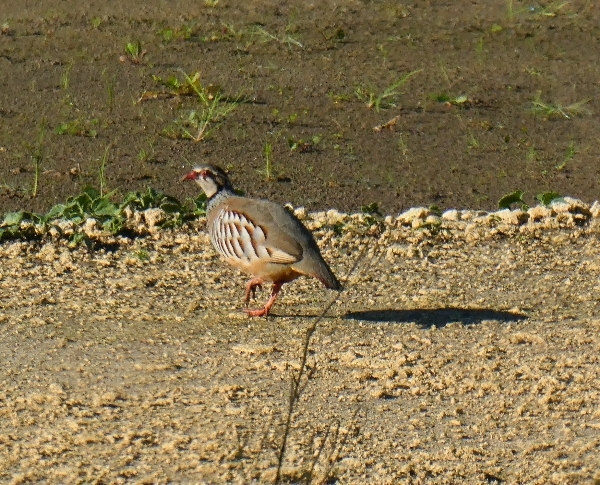 I’ve not seen too many of those in Southern Spain but I was seeing one now. 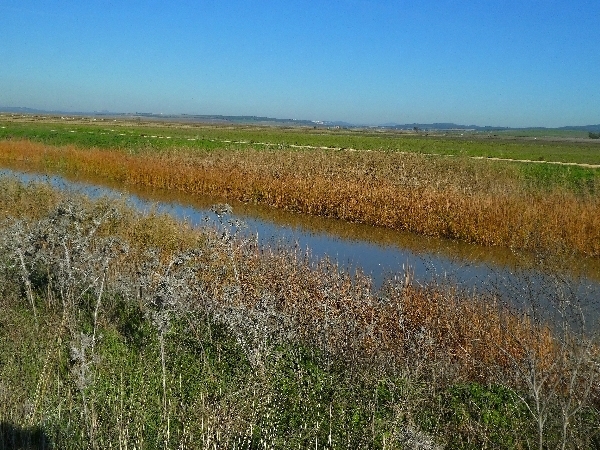 During that last stop we saw 3 Great Egrets, a single Glossy Ibis and I can’t tell you how many more White Storks, there were so many, a lot of them went up circling high on the thermals, I didn’t expect to see that in December! !